Chinese Foreign Minister Yang Jiechi made a six-point proposal to the 11th ASEAN Plus Three Foreign Ministers' Meeting here on Wednesday to boost East Asian cooperation. "ASEAN plus three countries should focus on financial cooperation, and meanwhile broaden exchanges in a wide range of areas," said Yang. The meeting, drawing foreign ministers from ten member states of the Association of Southeast Asian Nations (ASEAN), China, Japan and the Republic of Korea, opened in Vietnamese capital Hanoi on Wednesday. Yang said that East Asian countries should take further steps to implement and improve the Chiang Mai Initiative Multilateralization (CMIM), a multilateral currency swap accord covering all ASEAN+3 members. 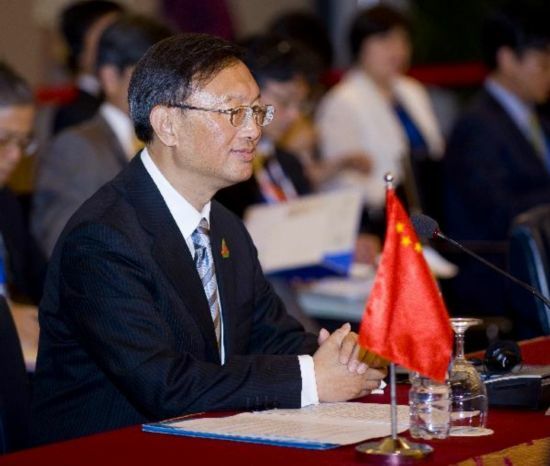 Yang called for the early establishment of regional economic surveillance body to provide necessary information and assistance to the operation of CMIM.